Treasuries reach a milestone… How Apple wrecked the Finnish economy… Reader identifies something to fear more than Ebola… and more! Here it comes — the Internet-connected toothbrush. Yeah, we know, the markets are in another minor tizzy today. We warned you as much, and we’ll bring you up to speed on this morning’s events shortly. But as always, we try to stay a step ahead of the herd. Today, we alert you to an unstoppable opportunity that stands to thrive no matter what happens, bad or good, in the wider world. So take a deep breath. Let’s go. “The world’s first of its kind with Bluetooth connectivity, the Oral-B SmartSeries electric toothbrush will be available in the U.S. in October 2014,” promises Oral-B. That’s this month, so it should arrive any day now. It doesn’t look much different from an ordinary electric toothbrush, but it logs things like the time you spend and the pressure you apply. “It records brushing activity as data that you can chart on your own and share with dental professionals,” the Oral-B website gushes. Put your smartphone next to the toothbrush on your vanity and the Internet does the rest. Brushing your teeth as a “goal-oriented” activity: Who knew? Understand the toothbrush itself is not the investment opportunity. Oral-B is one of many products from that bluest of blue chips, Procter & Gamble. Rather, the toothbrush spotlights how the “Internet of Things” has arrived. We brought the IoT to your attention in depth during early August — a host of ordinary devices acquiring Wi-Fi capability — like toothbrushes. Now the elite media are playing catch-up. Barron’s did catch on to one eye-opening phenomenon: What makes the IoT unstoppable is how it makes mundane business activities far more efficient — and far less costly. As usual, the mainstream is looking in the wrong places. Indeed. And with that in mind, Ray has identified one player set to soar the same way Intel did from 1996 until its peak in 2000. That’s a 732% gain. Curious? You can find Ray’s detailed briefing at this link. To the markets — and the aforementioned minor freakout. For the first time since the stock market’s swoon got underway last Thursday, traders got a chance this morning to chew on a bunch of economic numbers. Empire State Manufacturing Survey: This number, a Federal Reserve measure of factory activity in New York state, is intriguing because it’s an early read on the month of October. The number still shows growth, but it’s the weakest growth in six months. Numbers like that, released an hour before the open this morning, gave traders an excuse to hit the sell button. Early on, the Dow shed a quick 350 points. As we write, the bleeding has been stanched to less than 200, and the big index sits at 16,120. The S&P 500 is at 1,857. If you’re keeping score, that’s a 7.7% drop from the all-time high set on Sept. 18. Still not in “correction” territory. Gold is also perking up, at $1,239. Crude threatened to fall below $80 a barrel earlier. But now we see it’s recovered to $81.84. The economic numbers this morning also suggest we’re getting closer to the Federal Reserve deciding to suspend tapering/resume quantitative easing. Heck, even before the numbers were released, San Francisco Fed chief John Williams said as much. “If we really get a sustained, disinflationary forecast… then I think moving back to additional asset purchases in a situation like that should be something we should seriously consider,” Williams told Reuters yesterday. Of course, if you read The 5, you saw this coming more than four months ago: “Look for QE4 in 2015,” Jim Rickards said in this space on June 6. There’s a reason the leadership here at Agora Financial moved heaven and Earth to bring him on board our editorial team. 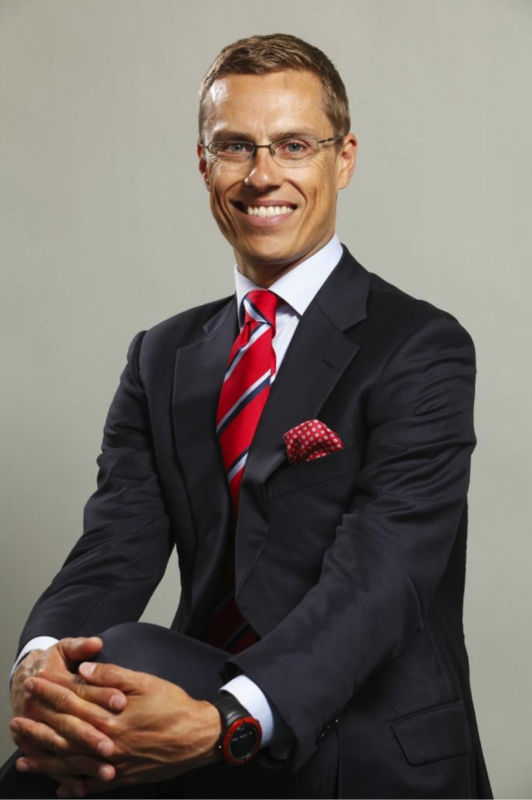 It’s not unusual for politicians to blame big companies for their problems… and if they’re big foreign companies, all the better… but Finnish Prime Minister Alexander Stubb has surely set an indoor record. For a long time, Finland was a standout nation in the eurozone. It was one of only three countries to hold a AAA credit rating. (Germany and Luxembourg are the others.) But last Friday, Standard & Poor’s downgraded Finland to AA+. S&P figures the country is stagnating, which will lower tax revenue and swell the budget deficit. And where does Prime Minister Stubb lay the blame? Apple Inc. Seriously. He says Apple wrecked two of his country’s biggest exports. “The iPhone killed Nokia, and the iPad killed the Finnish paper industry, but we’ll make a comeback,” Stubb told CNBC on Monday. Turns out it’s not the first time he’s blamed Apple for Finland’s woes: “Steve Jobs took our jobs,” Stubb complained to a Swedish newspaper in July. Heh… According to TechCrunch, Stubb fails to point out Apple has been paying Nokia a pretty penny in licensing fees for years. How much is a trade secret, but former Nokia CEO Stephen Elop said between Apple and other firms, it was pulling in $650 million annually in such fees. But good politicians never let the facts get in the way of a good story, no? “Has anyone attributed Europe’s problems to Russia and the sanctions that we put on it?” a reader writes. “The European Union just went through refinancing and restructuring of Greece and Spain and Ireland, and Germany is the big engine supporting it all. Is it possible that the sanctions on Russia by the EU are causing a recession to recur? And then it carries over to the USA! The 5: Not just yet. Looking at a bond screen right now, we see a 10-year German bond yields 0.83%… while the 10-year debt of France yields 1.20%. As with the big euro scare in 2011, U.S. Treasuries are ironically a “safe haven”… at least for now. “With regard to your newsletter editors’ hair-on-fire attempts to sell subscriptions,” a reader writes of Ebola, “can we at least try to bring a wee bit of perspective to this ‘outbreak’? “Influenza infects millions upon millions of Americans every single year, and somewhere around 30,000 die from it. Additionally, Ebola is passed along solely by contact with bodily fluids of the infected, while the flu is transmitted in various ways, including through the air. Historically, the flu has killed tens of millions more people than have died from Ebola, and the possibility of a virulent strain arising is always present. The 5: We’ve lost our collective minds over Ebola? From Monday morning’s New York Times, dateline Dallas: “Carleen and Ed Guerrero were asleep when two police officers rapped on their door at 5 a.m. on Sunday to tell them that the Ebola virus had come to their leafy neighborhood just north of downtown. So we have cops going door to door at 5:00 on a Sunday morning to tell people someone in their neighborhood’s been diagnosed. As if there’s anything they can do about it at that ungodly hour other than freak out. If it’s fear-mongering you’re concerned about, go talk to the Dallas Police.